Megan Green was born and raised in Shreveport, Louisiana. She grew up surrounded by horses, dogs, cats, chickens, ducks and any other critters she decided to become friends with. Early on she knew what her career path would be. Animals are an important part of her life. While in high school, she started along the path to her career in veterinary medicine by completing a work study program at South Park Animal Hospital. After graduation from high school, she attended Louisiana Tech University, finally earning a degree in Animal Science. However, instead of attending veterinary school like she hoped to do, God had other plans for her life. After completing her undergraduate degree, she attended Northwestern State University for their Veterinary Technician program. She completed her internship for the program at Southside Animal Hospital where she worked throughout college, and graduated from NSU in 2015. 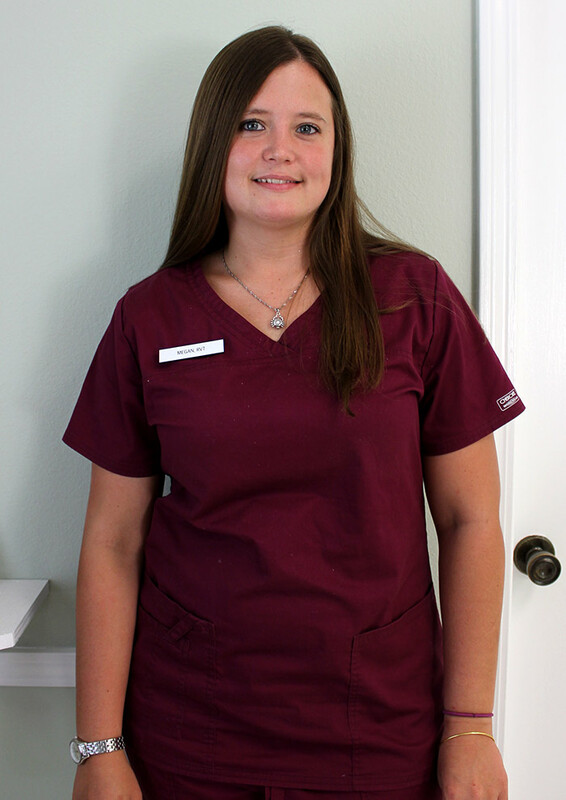 Megan is now a registered veterinary technician who loves her career. She has a strong passion for animals and providing care in their times of need. Her furry family consist of her Siamese cat named Tessie and his brother, a pit bull named Kane. They share a bond like no other.